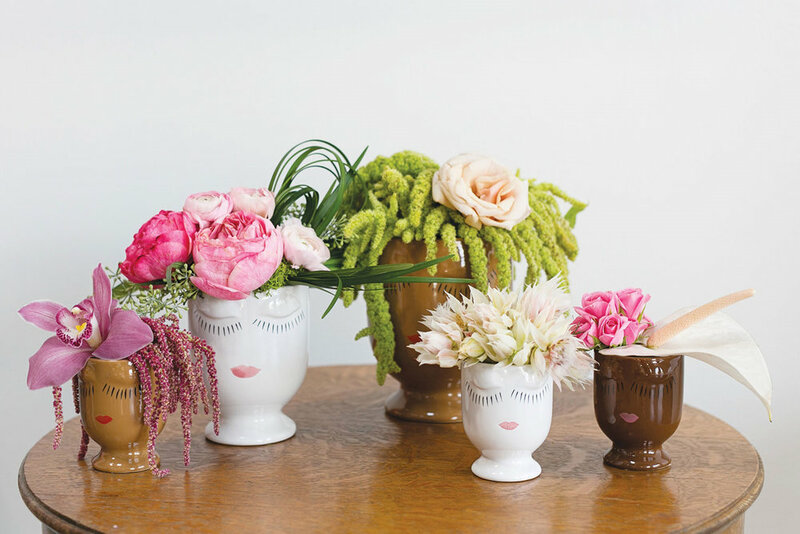 As flower people, we are always on the lookout for fabulous containers to showcase our designs. Accent Decor is one of the leading companies in creating and providing compotes, urns, votives, and more for all of us in the floral industry. They've been kind enough to share their favorites with us! Take a look at what's hot at Accent Decor. This ceramic vase has a subtle imprinted design. Perfect for drop in pots or centerpiece design. Aluminum compote with a soft rose gold finish. An elegant piece to grace the center of any table. 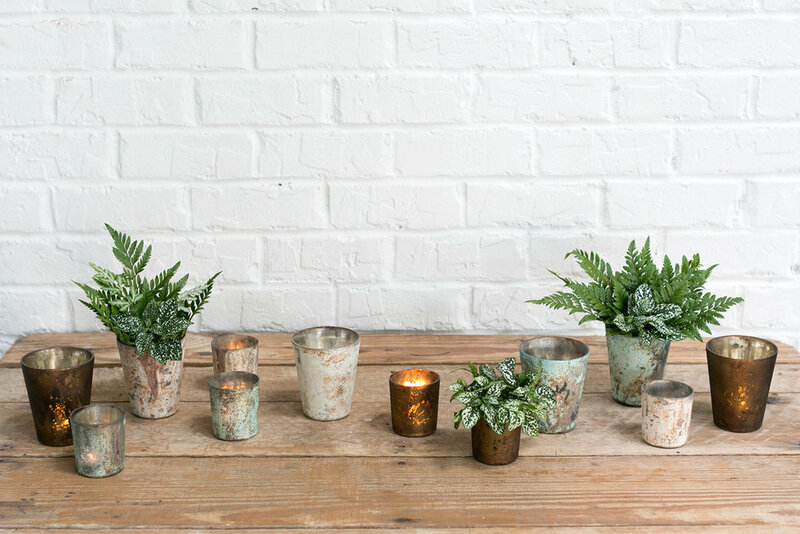 Mercury glass votive that combines well with any aesthetic. Mouth blown clear glass vase with a cinched neck and a rich gold metal rim. Perfect for a simple centerpiece or a live succulent. 100% Marble Pot. Great for potted plants, or use foam for a bold arrangement. Minimalistic white ceramic pot with organic rim. Also comes in gold! Growing up working in his father’s greenhouse in Canada, Frank Hofland wanted to ‘contain’ the beautiful blooms his father grew and started traveling the world as a teenager in search of design-focused containers for his father’s business. 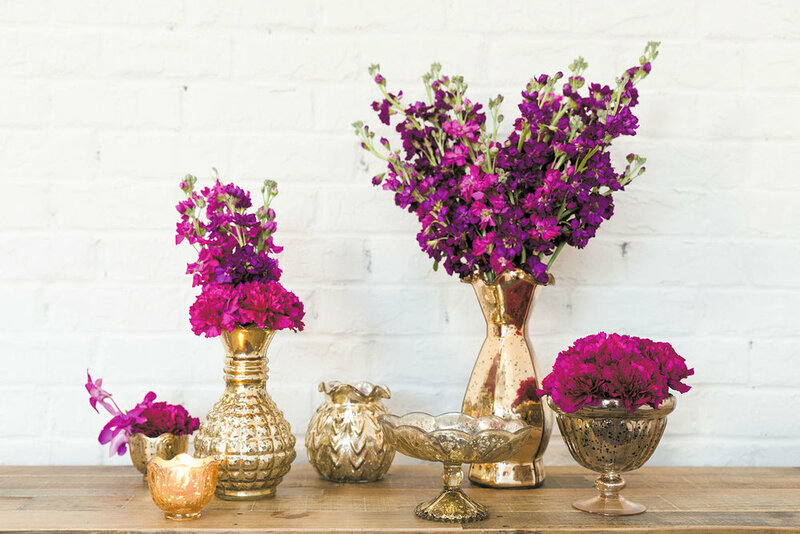 In 1997, he took that perspective to Atlanta, GA with his wife, Margaret, and three daughters, to start Accent Décor, Inc. with a dream to provide products that would ignite a passion for beauty and design within the floral industry. Grounded in this belief that customers deserve the best new products, the Hofland family continues to scour the globe each season to build a new collection on the leading edge of today’s trends. 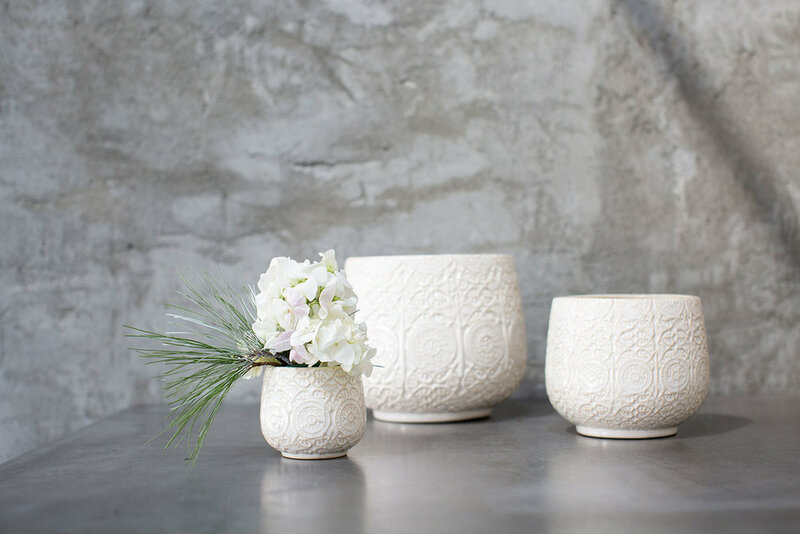 This commitment has built a company that holds the industry standard for providing beautiful ceramics and glassware for the event and floral industries, on-trend home décor accents, and exceptional customer service. Janine is the community builder at Team Flower and owner of Bundles and Blooms. She resides in Boone with her husband and cat. Janine enjoys cozying up with a giant blanket & a cup of hot tea, visiting farmers markets, CrossFit, and is a lover of all things Pride and Prejudice.